After the Santa Fe shooting, a lawsuit aims to “effect change.” Can civil cases do what legislation hasn't? The lawsuit filed against the Santa Fe shooting suspect's parents aims to hold gun owners responsible for the way they store their firearms around their troubled children. Experts say it fits into a nationwide pattern of gun liability cases that aspire to keep gun owners and manufacturers accountable through fear of high-cost lawsuits. HOUSTON — The first civil lawsuit landed less than a week after the deadly shooting at Santa Fe High School. This is an emotional case for attorney Clint McGuire, a genial Santa Fe alumnus whose two children, Megan and Cole, were in the school — safely in other wings — during the May 18 shooting. The week before, McGuire and the McLeod family had gathered to take prom photos of their daughters. Now, after the McLeods’ 15-year-old son Kyle was killed, they are his clients. The Santa Fe lawsuit is the latest in a growing list of civil cases filed after mass shootings, stretching back at least to the 1999 massacre at Colorado’s Columbine High School. Lawyers say they’re not only trying to win money for the victims but are also aiming to make safer a system that has left children vulnerable to such attacks. Since a deadly shooting at Connecticut’s Sandy Hook Elementary School in 2012, experts say, this litigation has become tragically commonplace. Texas has a criminal law aimed at keeping parents’ firearms out of the hands of children 16 and younger; Pagourtzis’ parents did not break that law because their son is 17. (Gov. Greg Abbott has proposed raising the age in Texas to include 17-year-olds, as many other states do). But Pagourtzis’ parents are still responsible, McGuire said — and the lawsuit is about “clarifying, and yes, even elevating” Texas parents’ obligations to protect against the harm their children can wreak. In his 40-point school safety plan, Abbott, who has an ‘A’ rating from the National Rifle Association, proposed promoting — but not mandating — safe storage practices for firearms. Some Republicans to the governor’s right have made it clear that they would strongly oppose any kind of bill to regulate gun storage. “It is not the government’s business how you store legally owned guns in your home,” state Rep. Matt Schaefer, a Tyler Republican and the chairman of the hard-line Texas House Freedom Caucus, tweeted last month. McGuire said the local district attorney is responsible for prosecuting Pagourtzis criminally and “the Legislature is going to do what they’re going to do” on gun issues. “But the parents in this case have the right and the ability to file this lawsuit so that they can effectuate the change that they want to,” he said. But what can a civil case in Galveston County court do that lawmakers haven’t? Both criminal and civil laws are aimed at delivering justice to victims, but they can also deter bad behavior. Civil cases do that by discouraging individuals and corporations from risky practices that might get them sued, legal experts say. The threat of lawsuits can compel industries, fearful of costly lawyers’ fees and costlier settlements, to regulate themselves even when lawmakers don’t — a pattern experts say they’ve seen in trades from toasters to canned goods to automobiles. In the 1950s and ‘60s, for example, before a host of costly tort cases, small appliances “had the alarming tendency to catch on fire,” said Heidi Li Feldman, a tort expert at Georgetown University. McGuire believes a high-profile civil case stemming from the Santa Fe shooting could help prevent similar tragedies in the future. “If your child goes and destroys the lives of other families, you should understand as a parent that your financial life is going to be destroyed by that,” McGuire said. To succeed, McGuire will have to convince a Galveston County jury that Pagourtzis’ parents could have foreseen his rampage and that they were negligent in leaving the guns where their son could access them. But he’s not worried about persuading jurors of that, even in a gun-friendly county that President Donald Trump won with 60 percent of the vote. “I think that one thing almost every Texan can agree upon is that gun owners have a responsibility to safely keep their guns,” he said. As mass shootings have become more frequent, so too have the civil lawsuits that follow them. Victims of the Columbine shooting settled a lawsuit against the shooters' families and friends who had helped them secure weapons for $2.53 million. Similar lawsuits have been filed against the wife and employer of the gunman who killed dozens of people in an Orlando nightclub two years ago. Several Texas families who lost loved ones in an October shooting at a church in Sutherland Springs have filed lawsuits against the Air Force, which said it failed to properly flag the shooter’s troubling history in its criminal database. The oversight enabled him to buy the guns that killed more than two dozen people. Often, these civil lawsuits target the venues where the violence took place, claiming owners failed to properly prepare for what has become a foreseeable tragedy. Michelle Simpson Tuegel, a Waco attorney who represents victims of the October mass shooting at a country music concert in Las Vegas, says her clients want to be able to send their own children to concerts without fear of harm; that’s why they decided to sue MGM Resorts International, she said. It’s a way, she says, to heighten safety protocols without legislation. And this trend is only going to grow, experts say. 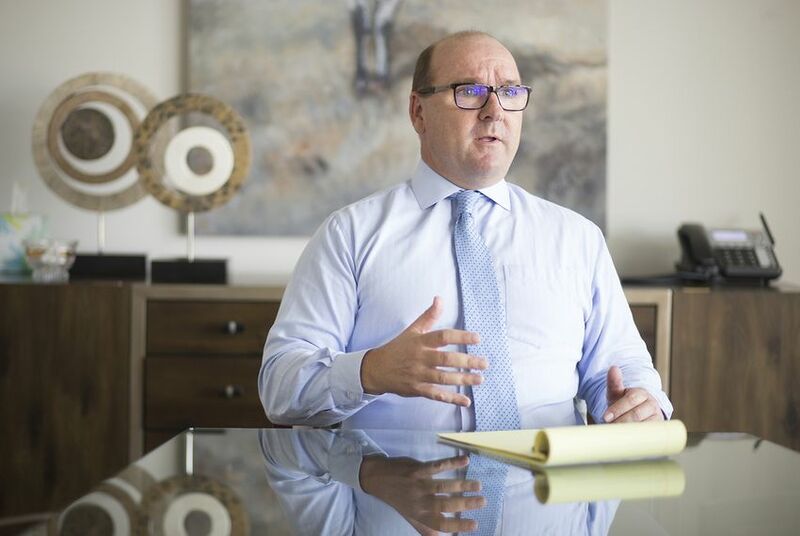 “There is going to be civil litigation because nothing else seems to be able to stop it, really,” said Mo Aziz, a Houston attorney who also represents victims of the Las Vegas shooting. Legally, guns aren’t like other products. Gun manufactures and sellers can almost never be sued when their merchandise is used to perpetrate violence. That's thanks to a 2005 federal law — the Protection of Lawful Commerce in Arms Act — that shields the industry from civil liability when crimes are committed with their products. That matters, experts say, because gun companies tend to have the deepest pockets for lawyers to target. In the decade-plus since, a national advocacy group called the Brady Campaign to Prevent Gun Violence has made it its mission to find — and splay open — the exceptions to that law through civil cases. They’ve successfully sued gun sellers and manufacturers through several such openings — in Texas, the group recently won a settlement for a widow whose husband was killed by a gun they say was bought illegally due to the seller’s negligence. And where Brady starts, the group says, others follow: After the nonprofit group won victories in a Kansas case and a Missouri case, private lawyers brought similar suits, co-President Avery Gardiner said. That’s part of the goal, Gardiner said. McGuire hasn’t said whether he plans to sue the gun manufacturer or any other defendants, but he didn’t rule it out. “Our sole focus at this point is holding the parents accountable,” he said. McGuire said he owns guns, and his parents owned guns. But he said he keeps his firearms unloaded and locked in a safe away from his children. The Santa Fe shooter used his father’s guns. But his parents aren’t liable under Texas law.